« ANOTHER BOOK ON NOAH’S ARK? REALLY??? why doesn’t someone just go find it? This is a question that I’ve been asked a number of times in interviews, as well as private conversation. As expected, the search for Noah’s Ark has a long and storied history. Expeditions have been forged from all corners of modern society as ambitious explorers from a variety of nationalities have become a part of the quest. As a result, the location of the ark has been established and documented several times. Many of the historical discoveries, however, have been forgotten or dismissed as forgery. As modern technology and climbing equipment has improved, the area which plays host to the ancient vessel has become increasingly violent and unstable. From the first century onward, historians have identified the location of the ark as a mountainous area in Armenia. The ark is written about as a commonly accepted fact by antiquarians such as Flavius Josephus (Antiquities of the Jews, Book 1, Chapter 3, Paragraph 6). Over the last 250 years, those who would search for the ark have studied such historical accounts in detail and made use of the information to narrow their search to one mountain that has emerged as the agreed upon resting place, The Painful Mountain – Greater Ararat. The book to the left, Noah’s Ark: Fable or Fact? 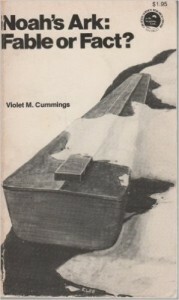 by Violet M. Cummings, is a treasure trove of stories, featuring exploits and stories told by those explorers. It is currently out of print, but used copies of it and its companion volume, Noah’s Ark: Fact or Fable? can be found through Amazon at a reasonable price. CLICK HERE to see options on Amazon. In the book, Cummings tells the history of the 1840 earthquake that split the mountain and buried a small monastery that was dedicated to artifacts that had been recovered by various expeditions. The book also records the amazing story of Prince Nouri (Chaldean Arch-Bishop, 1887), as well as his presentation on the existence and whereabouts of the ark at the World Parliament of Religions on September 4, 1893. The book also includes the Turkish Commissioner’s report of 1883 and stories from Turkish soldiers from 1915. It includes records of the Russian Czar’s expeditions of 1915 and 1916, as well as several stories from those who claim to have excavated hand-hewn timbers from the mountain, far above the mountain’s natural timberline. There’s also the story of a young Armenian boy named, Georgie (George Hagopian), whose uncle took him on a climb up the mountain to see the ark in 1902 (pgs 186ff). 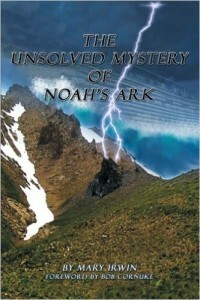 Another book that relates a number of captivating stories of ark expedition is, The Unsolved Mystery of Noah’s Ark, by Mary Irwin (the widow of astronaut, Jim Irwin). CLICK HERE to see the book on Amazon. Mary and Jim searched for biblical antiquities throughout the Middle East, but Jim was particularly taken with researching the history of the ark and trying to validate its location. Irwin’s book features some of the same stories that can be found in the books published by Violet Cummings, but also documents stories of a few expeditions that are not found in the Cummings volume, including the personal experiences of her journeys up the mountain with Jim. She also includes a section on the claims of Ron Wyatt, which have drawn a lot of public interest. While both of these books provide interesting reading, they are not the final chapter in the tale. The research and expeditions continue. In the summer of 2013 a team of researchers not only explored Ararat, but documented their work in the film, Finding Noah. I was privileged to talk separately with two of the men who were a part of that expedition. You can listen to my recorded interview with Bruce Hall and Aaron Judkins by simply clicking on their names. Why don’t they just go find the ark? is a question that often gets asked. The answer is not simple. 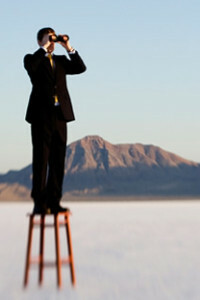 There have been numerous expeditions, some of which have met with great success. The area is perhaps one of the most challenging to explore due to the nature of the mountain itself and the weather that has become its constant companion. There is also the threat of physical violence that stems from the political unrest in the area. This is not a safe region in which to travel, camp, or explore. If the combination of dangerous mountain and severe weather don’t bring your best efforts to naught, the warring factions may view you as an enemy intruder and take action against you. This is an area fraught with peril. This is where the ark came to rest.